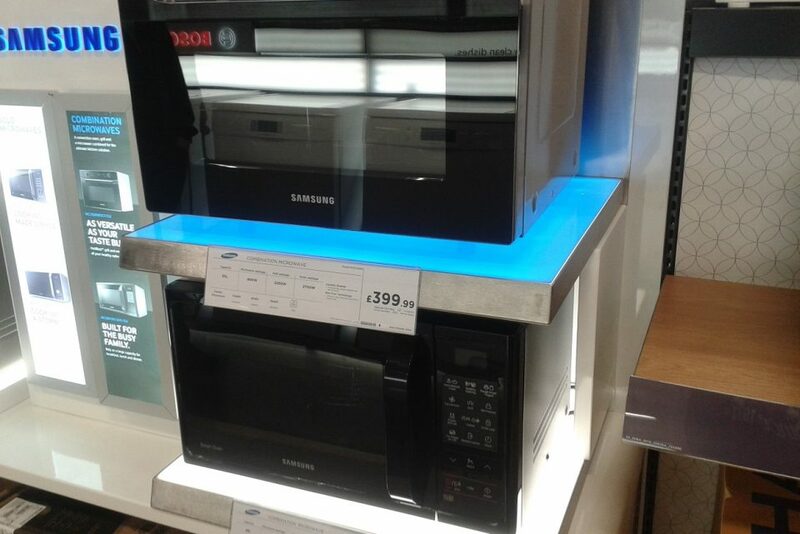 Currys PC World needed easy to install LED lighting for their new Samsung microwave displays, step forward Bright Green Plug and Play LED Light Panels. 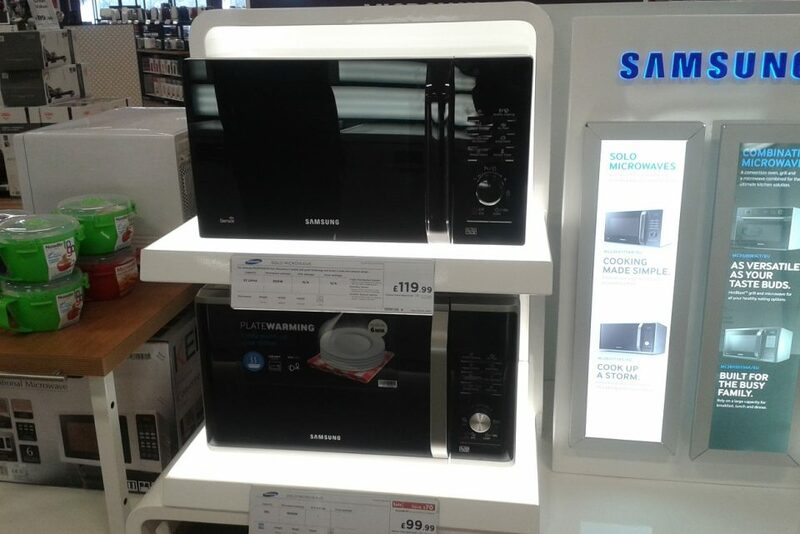 The microwaves sit on acrylic shelves lit with light sheets to make the displays stand out from the other products on display. 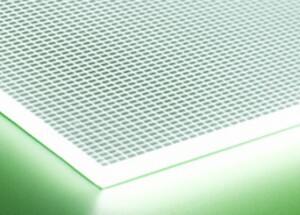 Plug and Play LED Light Panels were also used to backlight the information panels which highlight the features of the microwaves, maximising the impact of the message. 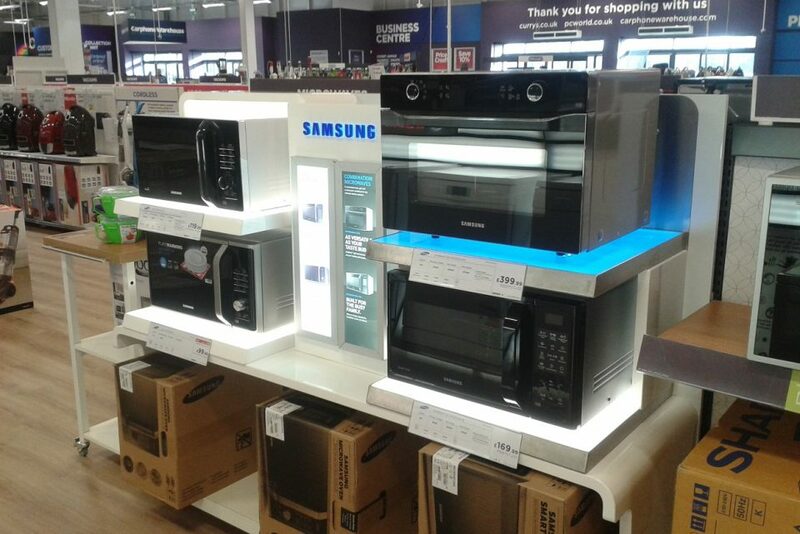 These thin LED light sheets were ideal, not only for their low profile design but also because they were supplied plug and play making them easy for the contractors to install in store.